Naturopathic medicine doesn’t follow a single road to good health. It combines nature with modern science. This approach to health care embraces a wide array of noninvasive techniques and therapies, including traditional healing methods, principles and practices. 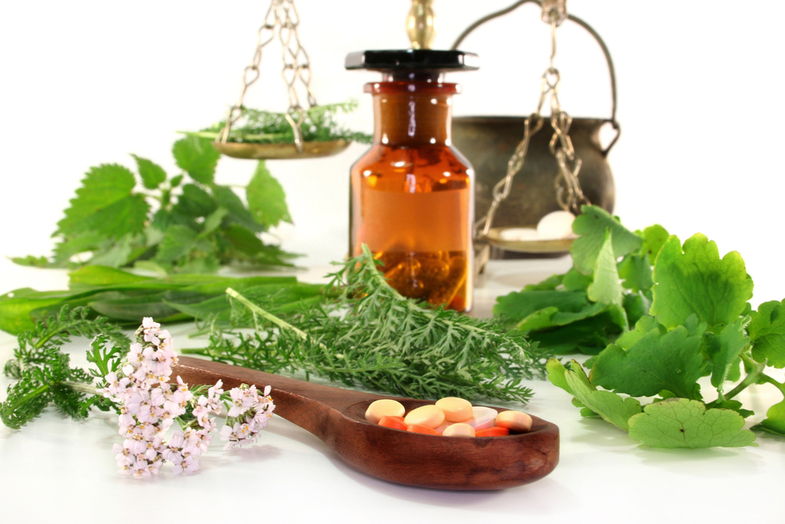 Naturopathic medicine focuses on holistic prevention and comprehensive diagnosis and treatment. Naturopathic physicians work with the body’s inherent ability to restore and maintain optimal health. The naturopathic physician tries to encourage good health by helping to create a healing internal and external environment. Many practices associated with naturopathy date back centuries, but modern naturopathy was founded and named by German physician Benedict Lust in the early 20th century. It was popular in the United States in the 1920s and 1930s. Within a few decades, conventional medicine, also known as “drug therapy” medicine, came into prominence and naturopathy faded. Naturopathy regained some popularity in the 1970s as Americans developed a new appreciation of alternative and “holistic” approaches to medicine. Today, naturopathic physicians practice throughout the United States and Canada in private practices, hospitals, clinics and community health centers and can provide individual and family health care. A licensed naturopathic physician (ND) attends a four-year graduate-level naturopathic medical school and is educated in the same basic sciences as an MD. NDs also study holistic and nontoxic approaches to therapy with an emphasis on wellness and disease prevention. In addition to a standard medical curriculum, the naturopathic physician completes four years of training in clinical nutrition, acupuncture, homeopathic medicine, botanical medicine, psychology and counseling. A naturopathic physician must pass professional board exams to be licensed by a state or jurisdiction as a primary care general practice physician. In addition, osteopaths, dentists, nurses or other health care professionals may practice naturopathic medicine. NDs treat most medical conditions. Among the most common ailments they treat are allergies, chronic pain, digestive issues, hormonal imbalances, obesity, respiratory conditions, heart disease, fertility problems, menopause, adrenal fatigue, cancer,fibromyalgia and chronic fatigue syndrome. NDs can perform minor surgeries but do not do major surgery. NDs may utilize prescription drugs but their emphasis is on the use of natural healing agents. The healing power of nature. Naturopathy contends that the body has the inherent ability to heal itself and, when working at an optimal level, to ward off disease. Naturopathy is intended to help your body do just that. Treat the whole person. Naturopaths work from the perspective that health and disease are more than just germs and infection. Mental, physical, spiritual and environmental factors each play a role. Naturopaths take all of these factors into consideration when developing treatment. So, where a conventional health care professional may prescribe medication to suppress symptoms, a naturopath may look for alternative approaches because the goal is to restore health, not simply banish illness. Identify the cause. Instead of treating symptoms, naturopaths seek to identify and treat the underlying cause. Symptoms are not the cause of illness—they simply indicate that your body is out of balance. The cause is often more difficult to identify. It could be anything from a vitamin or mineral deficiency to an emotional problem. By identifying and addressing (or removing) the cause, the symptoms can be relieved rather than suppressed. Prevention. Naturopaths place great emphasis on preventive care. Naturopaths assess your risk factors and make suggestions that will support your good health. The physician as teacher. Naturopaths see themselves as teachers and try to teach patients how to take responsibility for their own health. This may involve suggesting nutritional, emotional, dietary or other lifestyle changes. Naturopaths are willing to work cooperatively with their conventional-medicine counterparts. You should continue your existing treatments while seeking care from a naturopath. Be sure to keep all of your health care professionals apprised of all treatments you are receiving. You might want to visit a naturopathic physician for a number of reasons. Perhaps you have a chronic condition that isn’t responding to conventional care. But you don’t have to suffer from a particular condition to visit a naturopathic physician. You may simply want to improve your overall health. Naturopathy is particularly well suited for chronic conditions such as asthma, muscle pain, allergies and arthritis, as well as disorders that may have a stress- or diet-related factor, such as digestive problems, insomnia, skin disorders and fatigue. Naturopathic physicians also treat colds, flu and bronchitis. Some are trained in natural childbirth and many treat premenstrual syndrome (PMS) and other menstrual and menopausal problems. If you have a serious condition that requires hospitalization, major surgery or emergency treatment—for instance, if you have a broken bone—seek conventional medical assistance. You can receive follow-up care from your naturopathic physician, which may support natural healing pathways within the body. These naturopathic physicians have a broader scope of practice and comparable training to conventional providers and must pass national licensing exams to practice in states that require licensing. They also incorporate specialties such as obstetrics, gynecology, homeopathy and environmental medicine. As naturopathy gains more acceptance, there are additional states with legislation pending that will enable NDs to become licensed: Colorado, Illinois, Iowa, Massachusetts, New York, North Carolina, Pennsylvania and Wisconsin. And, of course, you can ask for suggestions from your friends and current health care professionals. Health food stores and alternative newspapers may have listings, too. Your first visit to a naturopath could take an hour or longer. Most of your time will be spent talking about your health, diet and lifestyle. The naturopath will spend time with you to learn not only about the condition that brought you to the office, but also about your health in general. Be ready to provide details about your eating habits, sleep and work patterns, health history, stress factors, lab and other diagnostic work completed and more. Many naturopaths conduct standard blood, urine and saliva tests or order diagnostic imaging tests. Your ND may refer you to a medical lab or imaging center for further studies. Ayurvedic medicine. This is really a health care system unto itself, but it’s sometimes adopted—and adapted—by naturopaths. Ayurvedic medicine, founded in India more than 2,000 years ago, focuses on the individual’s overall health and on restoration of harmony and balance, which lead to good health. As with other alternative and complementary approaches, it takes a holistic approach, rather than focusing on a person’s symptoms. It’s similar to naturopathy in that treatments are generally natural and include an array of options, including herbal medicine, bodywork, exercise and meditation. The Ayurvedic practitioner tries to help you understand your constitutional makeup and suggests health, lifestyle and dietary changes accordingly. Bodywork. Some naturopaths include therapeutic massage and manipulation of muscles, bones and spine. This approach is often similar to that of a chiropractor. Bowen manipulation, a soft tissue manipulation technique, is another type of bodywork some naturopaths use. Botanical and herbal medicine. Naturopaths—among others—believe that herbs and other plants have healing properties. Some may prescribe herbal remedies in place of conventional drugs. Always consult with your primary health care professionals before changing your medications or adding a new one. Many botanical medicines are nutritive and are safe to use while taking prescription medications, too. Make sure all your health care providers know all medicines you’re taking—pharmaceutical as well as botanical. Clinical Nutrition. Naturopathy holds that a healthy diet is an essential part of a healthy life and that dietary changes, including abstinence from certain foods and the use of nutritional supplements, can have a profound effect on your health. For instance, many naturopaths promote a whole-food diet that requires a balance of the appropriate fats, protein and carbohydrates tailored to your metabolism. And you may find that the naturopath asks you to eat more unprocessed, unrefined and whole-fiber foods and avoid alcohol. Hydrotherapy. Naturopaths often use water (and ice and steam) for therapeutic purposes. How it’s used can vary dramatically—your naturopath may suggest something as simple as a warm bath to help with joint pain or a hot chest compress for respiratory problems. Treatments include whirlpool baths, steam baths, saunas, sitz baths, hot and cold compresses, as well as constitutional hydrotherapy treatment. Constitutional hydrotherapy treatment, which is often used to detoxify the body and stimulate the immune system, utilizes sine wave electrical stimulation current (the same used by physical therapists) in conjunction with a series of alternating hot and cold compresses. (Some consider enemas and colonic irrigation to be a form of hydrotherapy.) A series of these treatments may help detoxify and increase the amount of oxygen in your blood to rebuild and balance your metabolism. Exercise therapy. Naturopaths believe that physical health is connected to mental, emotional and spiritual health and that exercise is important for the treatment and prevention of illness. Accordingly, they prescribe all types of physical movement, from yoga to biking to tai chi, to help promote wellness. Minor office surgery. Four-year trained naturopathic doctors (NDs) are trained as primary care physicians and may perform minor surgery in the office, such as repair of superficial wounds or the removal of external cysts and moles. However, most do not. If your naturopath suggests minor surgery, check out his or her credentials before proceeding. One way to find out is to check with the American Association of Naturopathic Physicians. Ask to see his or her diploma. And in Alaska, Arizona, California, Connecticut, Hawaii, Idaho, Kansas, Maine, Minnesota, Montana, New Hampshire, Oregon, Utah, Vermont, Washington, you can check out an ND through the state licensing board. Washington, DC, Puerto Rico and the U.S. Virgin Islands also have licensing boards. Never allow someone without the proper training and credentials to perform surgery on you. Psychological care. Naturopaths focus on more than just the physical manifestation of health and disease. Emotions and attitude can make a huge difference, and stress-reduction is critical to overall health. Accordingly, your naturopath may include stress management, hypnotherapy, counseling, creative visualization, biofeedback and other therapies focusing on the mind/body connection. Traditional Chinese medicine. Many naturopaths are trained in aspects of traditional Chinese medicine (TCM). TCM is an ancient system of health care based on the concept of balanced qi (or chi, pronounced “chee”). TCM can include herbal and nutritional therapy, meditation, acupuncture, acupressure and massage. It’s important to remember that all of these approaches may involve serious lifestyle changes such as exercise, dietary change and stress reduction—changes you have to follow through on at home and at work. Your practitioner may use a combination of approaches. For instance, for a sore throat, you may be advised to rest, gargle with salt water and drink plenty of fluids, just as you would expect. In addition, you may be asked to reduce your sugar and dairy consumption and increase your intake of vitamin C, zinc and beta-carotene. Garlic, goldenseal, calendula and echinacea may be part of the regimen, and your naturopath may suggest that you apply hot and cold towels to your neck. A constitutional hydrotherapy may be recommended one to three times for a period of weeks or days to increase your immune function and speed recovery. The combination depends on your symptoms and your naturopath’s preferred approach. Many of the individual therapies, such as nutrition, botanical medicine and acupuncture, have been proven effective in scientific tests. Other therapies, such as detoxification and colonic irrigation, generate some skepticism in the scientific community. Because naturopathy includes a broad array of therapies and remedies, it is difficult to study its overall effectiveness. Some naturopaths are trained in natural childbirth, and many are trained in prenatal care. You will notice a few differences from a conventional obstetrician/gynecologist. For one thing, naturopaths prefer, whenever possible, to take a drug-free, noninvasive approach. Your naturopath may suggest massage to help with the discomfort of pregnancy or labor. And you’ll probably find an even greater focus on diet and nutrition. They often use herbal therapies such as mint tea or ginger capsules to treat nausea. Homeopathic remedies may be used to treat ankle swelling, emotional upset, insomnia or heartburn, as well as to ease delivery. Ask what kind of training your naturopath has in dealing with pregnancy and delivery.A handful of NDs are naturopathic obstetricians. They are trained in naturopathy and midwifery. Some naturopaths are also midwives, even if they aren’t naturopathic obstetricians. But be sure to ask your naturopath about his or her training. If he or she has not been trained as a midwife or naturopathic obstetrician, you will want to find someone with this experience to be present when you go into labor. Since most naturopaths don’t have hospital privileges, those who provide this kind of care generally do so out of the hospital setting. Because naturopathic care addresses your total self, you will probably feel a general sense of good health. On the other hand, because the focus isn’t merely on symptom relief, you may not see results overnight—it’s not like taking an aspirin for a mild headache. Nevertheless, if your problem persists, be sure to check back with your naturopath or another health care professional. If your health problems are acute or you are injured or gravely ill, seek emergency care via 911 or go to a hospital. Most therapies offered by naturopaths offer little risk; the greatest danger is the possibility that you might ignore the need for conventional medicine. So talk to your naturopath and your regular health care professional before beginning treatment, and be sure each professional is informed about the various medications—herbal or otherwise—that you are or will be taking. Never go off your existing medication without consulting the health care professional who prescribed it. Also remember that supplements are not tested by the U.S. Food and Drug Administration (FDA) for safety and efficacy. Some herbal remedies may be toxic, especially in large quantities. Ephedra has been linked to heart attack and stroke. Ginkgo biloba may cause bleeding. St. John’s wort may upset your stomach or make you more susceptible to sunburn. This is why you should seek the advice of a licensed ND to prescribe and monitor herbal medication dosages. Some herbs don’t interact well with other medications you may be taking. Be sure to discuss potential interactions with your naturopath and the health care professional(s) who prescribed the other drugs you are taking. Colonic irrigation also poses risks. While most are performed safely, when something goes wrong, it can be fatal. Contaminated fluids or equipment can cause serious illness, and you run the risk of bowel perforation. If you have intestinal or rectal problems, you should avoid this treatment. Some naturopaths ask that you have a yearly physical. Costs vary depending on the part of the country, but in most cases, a visit to a naturopath will cost less than it would to visit a medical doctor. The drawback is that few insurance companies pay for such visits. Your visits to a naturopath may take longer than a typical doctor visit. In fact, your first visit may last up to two hours, since the naturopath probably will want to talk to you at length about your lifestyle, habits, medical history and current health. Different naturopaths may take different approaches to the same condition; some may advise dietary changes and herbal remedies, while others may recommend detoxification or counseling. The naturopath’s field of expertise, his or her philosophy and your particular condition and needs help determine which approach is used. Graduates of a four-year, accredited program that results in full-scope, naturopathic physicians, can belong to the American Association of Naturopathic Physicians (AANP), whereas other naturopaths with varying levels of training, most commonly from correspondence programs, typically belong to the American Naturopathic Medical Association (ANMA). While some of the approaches used by naturopaths—particularly acupuncture and healthy diets—are supported by scientific studies, solid evidence is lacking in others, such as detoxification and colonic irrigation. Let your naturopath know if you are pregnant. Some herbal remedies and other treatments may not be suited for you or your baby. Instead of treating symptoms, naturopaths take a holistic approach in identifying and treating the underlying cause of your complaint. Only a few insurance companies cover naturopathy, so be prepared to pay out of pocket. Licensing and regulatory rules vary widely, so it’s important to check out a naturopath’s credentials before beginning treatment. One way to find out is to check with the American Association of Naturopathic Physicians. If you are visiting a naturopathic doctor (ND), ask to see his or her diploma. And in Alaska, Arizona, California, Connecticut, Hawaii, Idaho, Kansas, Maine, Minnesota, Montana, New Hampshire, Oregon, Utah, Vermont and Washington, you can check out an ND through the state licensing board. The District of Columbia, Puerto Rico and the U.S. Virgin Islands also have licensing boards. And, of course, you can always ask for references. Naturopaths work from the perspective that health and disease are related to issues far beyond just germs and infection—everything in your life may be a factor. Why will my first visit take so long?Naturopaths tend to take longer with their patients than many other health care professionals, and that’s mostly because of all the questions you’ll need to answer. You’ll be asked about your health history, your lifestyle and habits and your environment. Naturopaths work from the perspective that health and disease are related to issues far beyond germs and infection. Mental, physical, spiritual and environmental factors all play a role. Naturopaths take all of these factors into consideration when developing treatment. Since visiting a naturopath, my symptoms have improved dramatically. Can I go off the medication another health care professional prescribed?Not without first consulting your health care professional. You could put yourself in danger if you stop taking medication, especially for such chronic conditions such as high blood pressure, diabetes and heart problems. My sister is seeing a naturopath, and she’s receiving very different treatment than I am, but we both have the same health problems. Why is this?There could be several reasons. It’s likely that your naturopath and your sister’s have taken different approaches in their practice. Naturopathy is eclectic, and not all practitioners use all of the techniques. Another possibility is that you and your sister have different lifestyle issues. One of you may be under more stress or smokes or eats less healthy food. Such factors are more important to the naturopath than just the symptoms. If you are concerned, discuss the issue with your naturopath. What is an ND? Is every naturopath an ND?An ND is a doctor of naturopathy or a naturopathic physician. Only a handful of naturopaths are NDs. To obtain an ND (which allows the practitioner to be licensed in states that license NDs), a person must attend a four-year, postgraduate medical program, following three to four years of undergraduate education. These providers are trained to be primary care doctors who use naturopathy as their first course of intervention, though they can often prescribe prescription medicines as well. Will there be a clash between my regular health care professional and my naturopath?It depends on their individual attitudes. If you are seeing a medical doctor now, he or she may be skeptical. But increasingly, conventional health care professionals are recognizing the value of some aspects of alternative approaches to medicine. Likewise, your naturopath may express skepticism about conventional medicine. But they can work in concert. Many naturopathic physicians are able to work with conventionally trained physicians as a team. What is the difference between naturopathy and homeopathy?Homeopathy is a system of health care that uses highly diluted portions of natural substances to restore health. It is one tool that naturopaths may use. Think of a naturopath as a generalist and a homeopath as a specialist only in homeopathy.